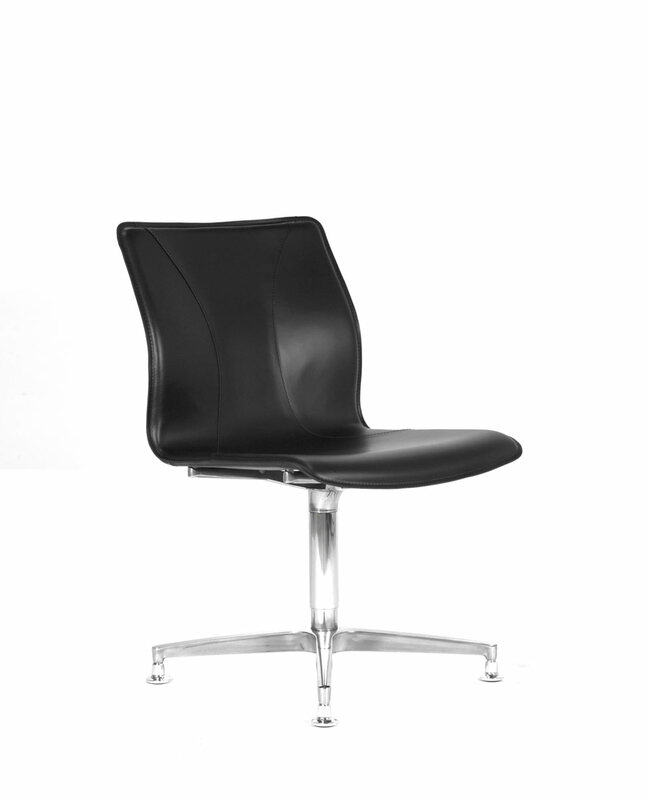 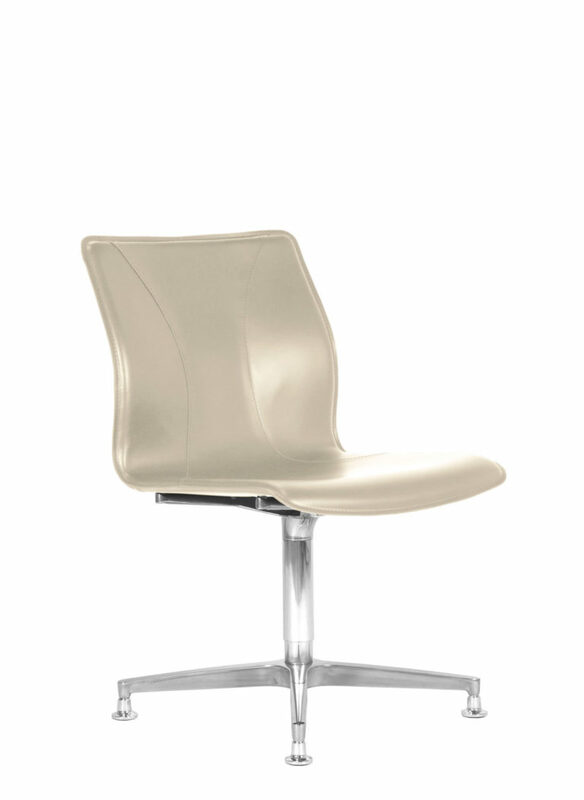 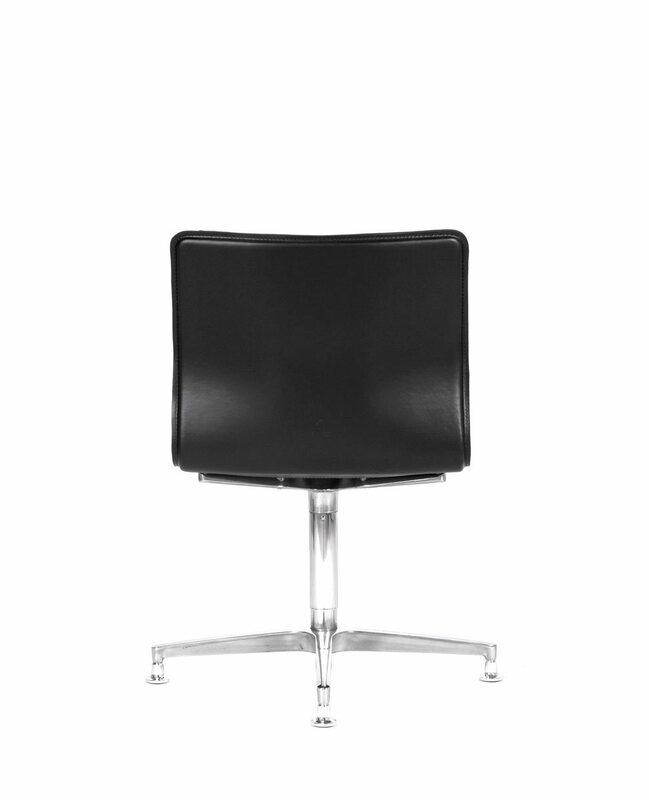 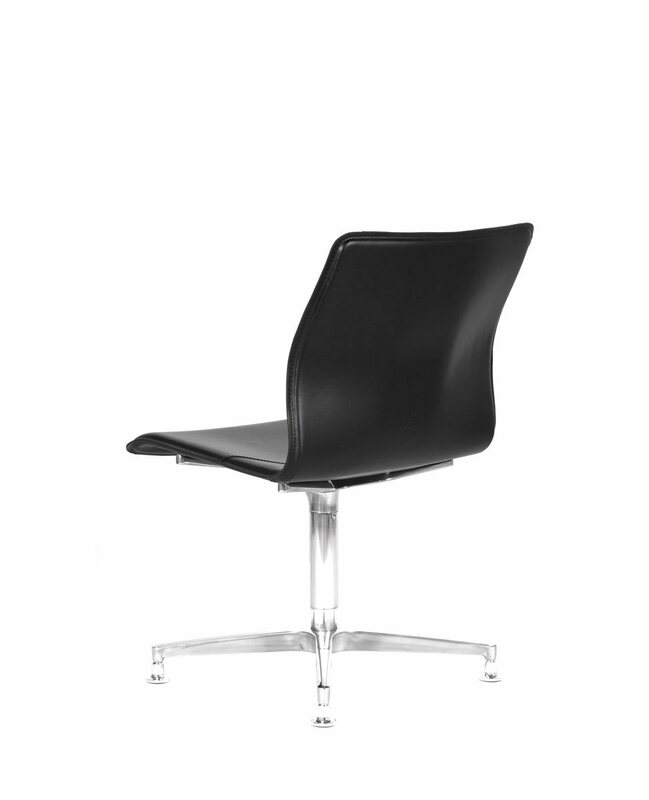 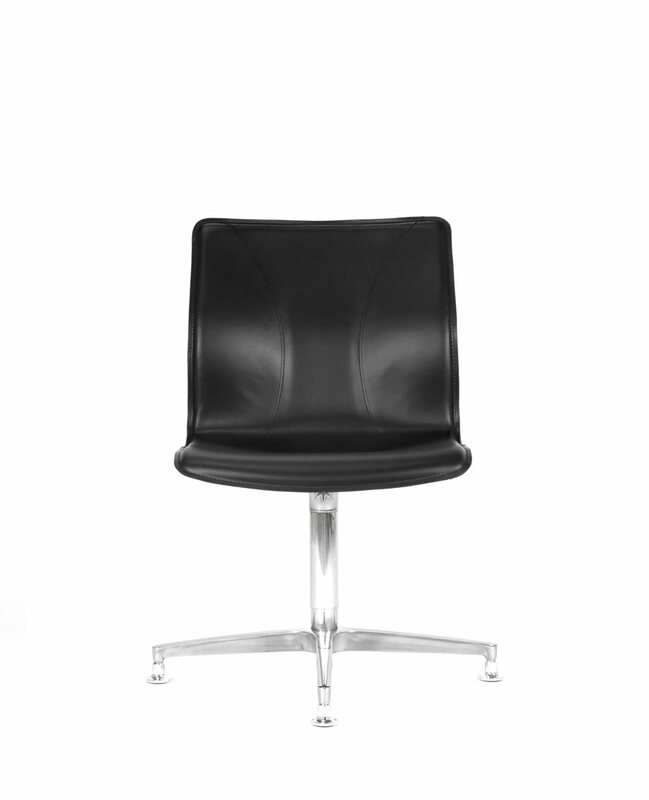 The conference and guest chair BB641.1 by Kleos is a leather upholstered chair to complete your office. It is produced with passion and attention to detail worthy of an artisan environment and industrial professionalism. 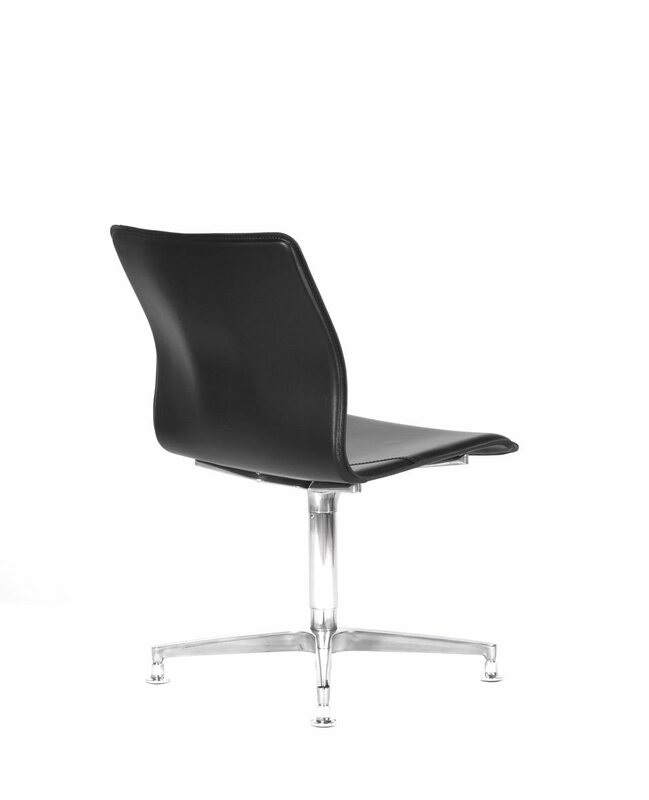 The seat of this conference chair is defined by its low backrest, molded with precision and wrapped in a leather padding and covered with cuoietto leather. Also, the cuoietto upholstery of this guest chair is sewn by hand, to enhance the sinuosity of the profile. In addition, the die-cast aluminum column and 4-spoke legs are polished with state-of-the-art tools. Furthermore, the conference and guest chair BB641.1 model is characterized not only by its comfortable and safe low backrest shell, but also by a sturdy column that allows 360° rotation, with or without self-aligning, and the four-spoke base with pins. All the metal parts in this entire series of conference chairs for your office are made of sturdy and elegant die-cast aluminum. 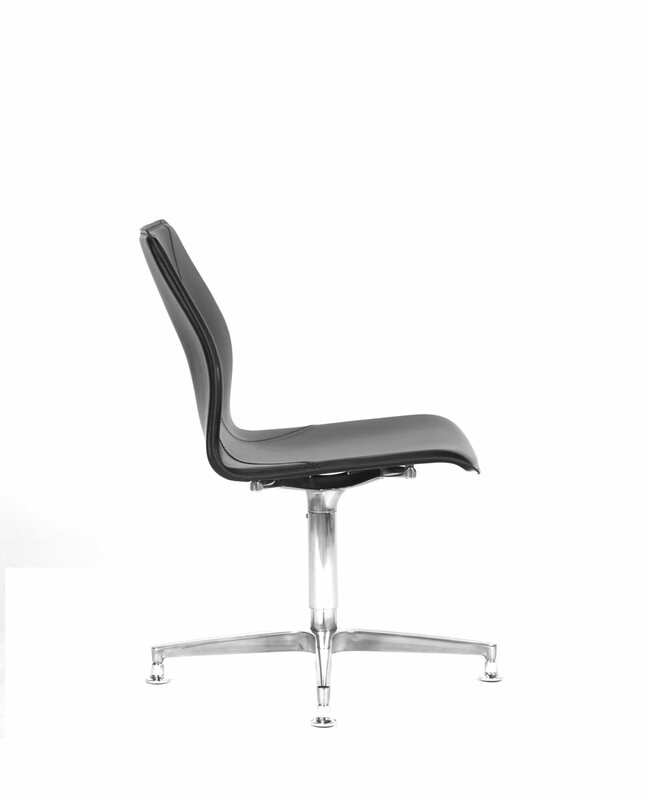 Conference and guest chair​ BB641.1 by Kleos is available in KleoPel Lasting upholstery. 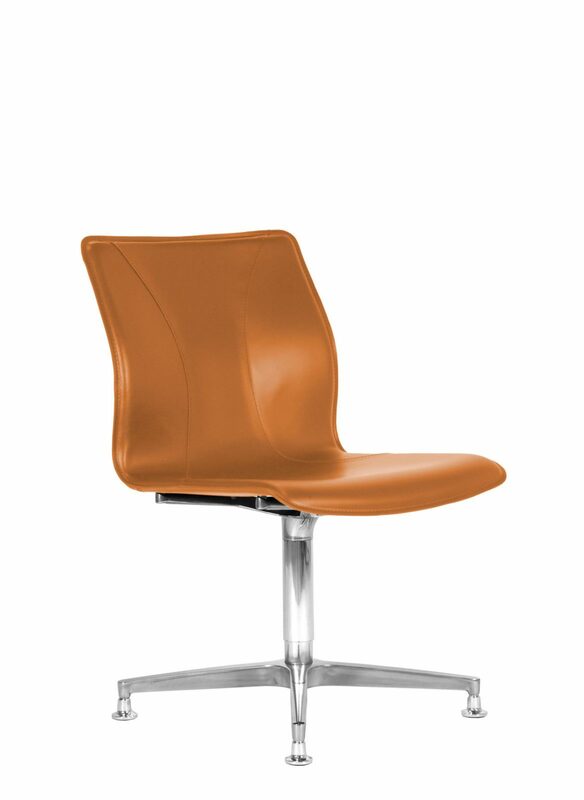 Beautiful, durable, elegant and strong, the KleoPel European cowhide leather keeps the temperature at its best and retains its elasticity over time.